Israeli Prime Minister Benjamin Netanyahu spoke boldly to the United States Congress and the American people about the danger of allowing Iran to have nuclear weapons even 10 years from now. Calling it a “danger to the whole world,” he compared Nazi Germany to ISIS and Iran’s state-sponsored terrorism. He said although 6 million Jews were killed, over 60 million non-Jews were killed in that war. A nuclear Iran is dangerous for the entire world, not just Israel and to think that in 10 years they will no longer want to “wipe Israel of the face of the earth” is plainly absurd. I have to agree with Mr. Netanyahu. His speach is one of eonian proportion and importance. You see the driving force behind Iran, ISIS (ISIL) and all militant Muslims is spiritual in origin. Those unaware of the spiritual world do well to describe what’s driving them as “ideals.” These are ideas — spiritual ideas — that are compelling them to take the world ‘back’ for Allah. No amount of economic prosperity (the State Department things people joining ISIS just need jobs to make them happy) or good will toward them will change their core beliefs. They are ‘sold out’ to the god of war as the Bible calls him, none other than Satan himself. Weakend by your Satanic lust. It’s a spiritual thing — what will you bring? Our ammunition is God’s Word alone. Iran, formerly Persia, is part of the 7-headed beast spoken of in the book of the Revelation of Jesus Christ. The beast has 7 heads that correspond to the kingdoms of this world that have controlled Jerusalem over time. The first “head” was Assyria, the second Egypt; the third was Babylon, and the fourth ws the Medio-Persian empire from which Iran evolved. The fifth was Alexander’s Grecian Empire and the sixth was the Roman empire which split into two parts. The eastern leg went to Constantinople which was invaded by Muslim forces who renamed it Instanbul, giving rise to the seventh kingdom, which was the Ottoman Empire. Now the book of Revelation says the final world empire, the eighth, is ‘one of the seven whose deadly head wound was healed.” That is none other than the up and coming Neo-Ottoman empire being spearheaded by Erdogen in Turkey in conjunction with — you guessed it — Iran. ISIS, while claiming to have re-established the Caliphate, may be laying the groundwork for this final empire upon which that “man of sin” that Paul talks about in II Thessalonians 2:3 rises up. II Thessalonians 2:3 Don’t let anyone deceive you in any way, for that day will not come until the rebellion occurs and the man of lawlessness is revealed, the man doomed to destruction. Be sure to check out my upcoming video series on the Revelation of Jesus Christ to find out more about this and the 10 kings. I’ll keep you informed as time goes on. We are truly nearing the end of the world as we know it as our Lord Jesus prepares to return from Heaven to establish his Millennial Kingdom in Jerusalem. Keep God’s Word in your heart and help us spread the word of our Lord’s impending return. We need to help people get their eyes and minds off the things of this world and to look into things that are eternal as revealed in God’s Word. Is it possible that our own President is a Shiite Muslim who is co-sponsoring the new Neo-Ottoman empire in a most deceptive way. Many educated people are leaning that way. He clearly apologizes for Islam while he snubs Israel. His behind-the-scenes and under-the-radar discussions with Iran to the exclusion of Israel and most of the rest of the world are worrisome. It’s up to Congress to block this attempt at a nuclear deal with Iran. It’s up to we the People to compel our representatives in Congress to act against the President’s disregard for sanity at the expense of the American people, Israel and the rest of the world. Raise your voice — educate those around you and fight the good fight of faith with the Word of God, our only ammunition. 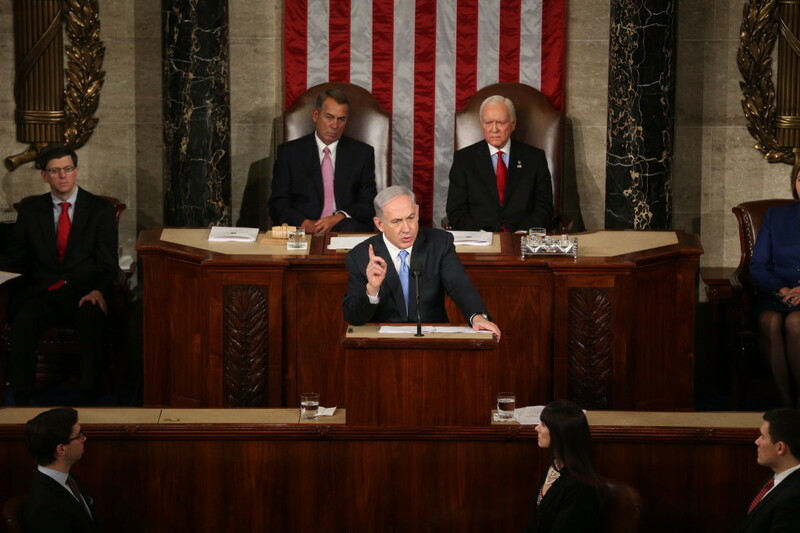 I thank God for Netanyahu’s speech to Congress and the American people. Is God waking people up? I believe so. But in the end I know God’s will shall be done. Our God is in control. Let’s pray our Congress acts to stop this Iranian deal and let’s also pray our President is put in check over his lawless disregard for our constitution, for Christians, for America itself and for Israel. Act in prayer and believe God is working within you to will and to do of His good pleasure.